St Abbs Marine Station is a Scottish registered charity dedicated to marine science, conservation and education. Established as a not-for-profit venture in 2010, the charity has been funded to date entirely by private donors. To maximise the use of its facilities and implement a full programme of research in marine science, St Abbs has a collaborative tripartite institutional agreement with Edinburgh Napier University and Heriot-Watt University. All three partners are members of the Marine Alliance for Science and Technology for Scotland (MASTS). 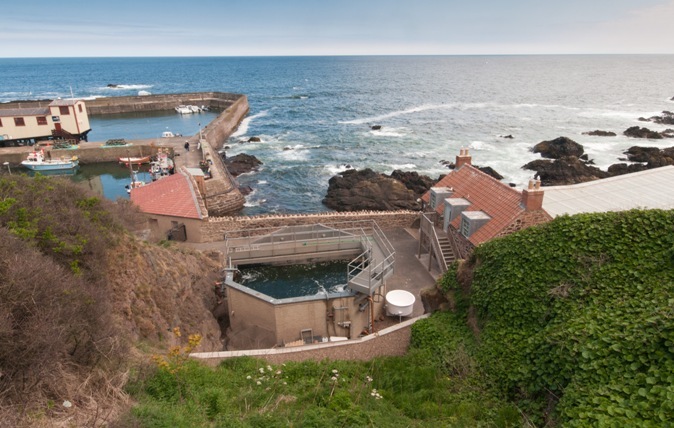 The facility is located in the historic fishing village of St Abbs, Berwickshire in the Scottish Borders. The recently built facility consists of a two storey building with a laboratory and and office space and an adjoining 275 square metre research aquarium in additional to a 100,000L mesocosm facility. Our research falls under two broad themes, each with several clusters. The ‘Marine Stressors’ research theme is composed of projects dealing with ‘Climate Change’, ‘Anthropogenic Noise/Vibration’, ‘Electromagnetic Fields’ and ‘Microplastics, Chemical and Microbial Pollution’. The ‘Sustainable Management’ research theme consists of projects on ‘Marine Protected Areas’, ‘Habitat Restoration’, ‘Tourism’ and ‘Sustainable Inshore Shellfish Fisheries’.